Naples owes its origins to the Partenope siren. Religious devotion to St. Gennaro lives with the pagan soul of the city, preserved and handed down in the Underground Naples and in the Chapel of St. Severo, among the “capuzzelle” of the dead and the alchemy of the Cristo Velato. 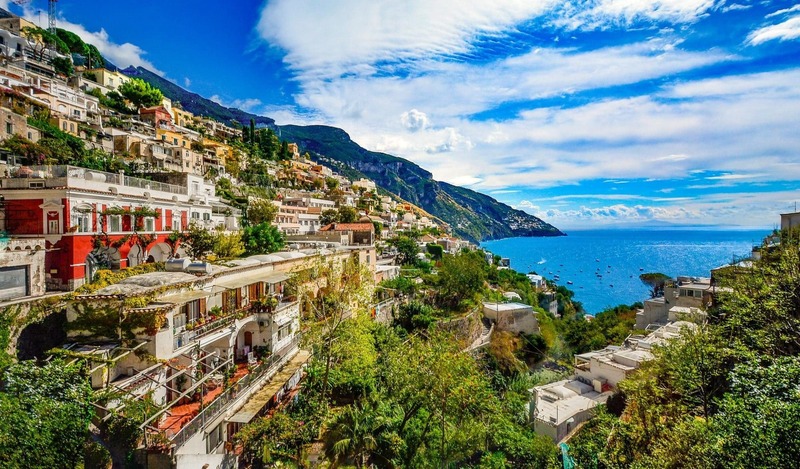 There is so much to see with Renato Cuomo Naples Tour, and it’s not easy to choose. Naples is a true open air theater, free of charge, accessible to all. Spaccanapoli : is the road that goes from the Spanish Quarter to Forcella here, there are palaces and squares of the most interesting of the city: among these, the complexes of Santa Chiara and of Jesus New, the palaces Filomarino, Carafa and Marigliano, the churches of S. Angelo in Nilo, S. Dominic Maggiore, S.Nicola in Nile , The Chapel of Mount of Pietà, the Doll’s Hospital, the State Archives. Here there are not only the ancient palaces, the churches, but also the legends and the unmistakable odors of Neapolitan cuisine. 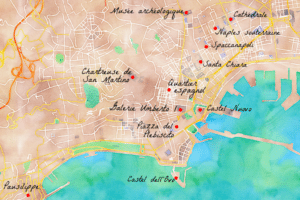 Do not be surprised at anything: along the route of Spaccanapoli you can meet beautiful churches and families who live in bass, craftsmen and artisans who sell everything. 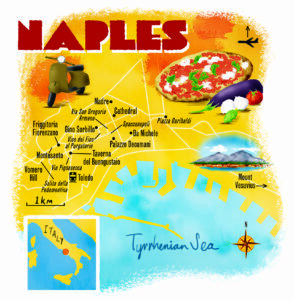 For a while, small hotels and bed and breakfasts have arisen along the route, allowing tourists to live in Naples just as the Neapolitans do. The veiled Christ: is one of the most fascinating and mysterious works that can be seen in Naples. It is said that the marble veil on the body of Christ, in reality a fabric veil, turned into rock thanks to a special liquid invented by the sinister prince of San Severo, illustrious alchemist.Many, however, claim that the surprising effect is all fruit of the talent of Giuseppe Sanmartino, the sculptor who made the veiled Christ. The discovery of a secret room and of some gruesome works, visible in St. Severus Chapel, helped to give the Prince and the veiled Christ an aura of mystery. The Chapel deserves a visit not only for Christ but also for other works in this small gem hidden in the alleys of Naples: a place full of esoteric and religious symbols that we help you to discover. The National Archaeological Museum of Naples (MANN):founded by the Bourbon at the end of the 18th century, is the oldest museum in Europe.It houses precious collections and archaeological finds staged between the prehistoric and the late Roman times, to which are added many historical collections, including the Farnese family, the Borgia and the collection of ancient Egypt.Napoli sotterranea: The term “underground Naples” is the complex network of cavities found in the Neapolitan subsoil and which form a true city which, in the negative, respects the surface city.The underlying galleries of Naples have been used over the centuries in various ways. Born after the tuff extraction for the construction of the city, they were then used as aqueducts and as a refuge in World War II. Vesuvio: The Vesuvio is an active volcano and who sleep since 1944, about 1,250 metres high and located in the eastern side of the province of Naples. Renown since the eruption of 79 AD that destroyed Pompeii, today is home to a beautiful natural park. It is a volcano particularly interesting for its history and the frequency of its eruptions. The Vesuvio is an unusual beauty in the landscape of the Gulf and holds a record in the world, being the first volcano to be studied systematically. 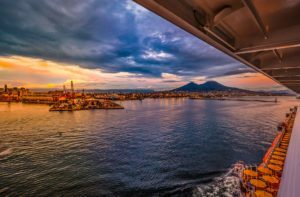 With Excursions Naples Tour you can, do a long walk, get right up on top, reaching the mouth of the volcano, so enjoying the beautiful view of the Gulf of Naples. The name “Castel dell’Ovo” comes from an ancient legend that the Latin poet Virgil, who in the Middle Ages was also considered a magician, hidden in the building’s secrets an egg that kept the entire fortress. Its break would have caused not only the collapse of the castle, but also a series of disastrous catastrophes to the city of Naples.Legend has been circulating since 300 AD. The egg would be placed in a glass cupping full of water protected by an iron cage. This was hanging on a heavy oak beam housed in a little room located in the castle’s underground.So far no one has found the egg ….Castel dell’Ovo was built on an island called Megaride which is now connected to the mainland. Teatro San Carlo: This Theater is one of the oldest and most famous theaters in the world. Overlooking Trieste and Trento Square, it is located in the lower part of the Royal Palace, and it is connected via a royal gate that allowed the King to access without going down the street. Near the theater there is also the Galleria Umberto I. Inside the real theater there is a museum, the MEMUS, which with paintings, photographs, vintage documents, musical instruments, archives, costumes and more, traces the story of Real Theater of Naples. Castel Nuovo: also known as Maschio Angioino, is one of the most famous castles in Naples. Built in the 13th century, it is located in Piazza Municipio, near Palazzo San Giacomo, where, thanks to its majesty it overlooks the scene. Inside the Castle there is the Civic Museum of the city of Naples, which offers an itinerary between the Palatine Chapel and the museum paths of various rooms on the first and second floor. Visit and admire the triumphal arch, Barons Hall and Prisoners. The Castle also hosts the Neapolitan Society of Homeland History and the Naples Committee of the Institute for the History of the Italian Risorgimento. With Naples tour you can visit The National Museum of Capodimonte. The Museum is housed in the sumptuous homonymous palace which was home of aristocratic families between the eighteenth and early twentieth century. Built by Charles of Bourbon from 1738 and completed over a century later, the palace takes its name from the Farnese collection, one of the most important families of the Italian Renaissance. The collection collects works by Tiziano, Parmigianino, Carracci and a wealth of decorative arts. Throughout the centuries, the collections of the museum are enriched with paintings, artwork and furnishings from former Bourbon residences and from Neapolitan and southern churches, sometimes from entire collections such as Borgia and Avalos.